A new trend that is appearing in every magazine and is seen on the streets more and more often. I personally love it. 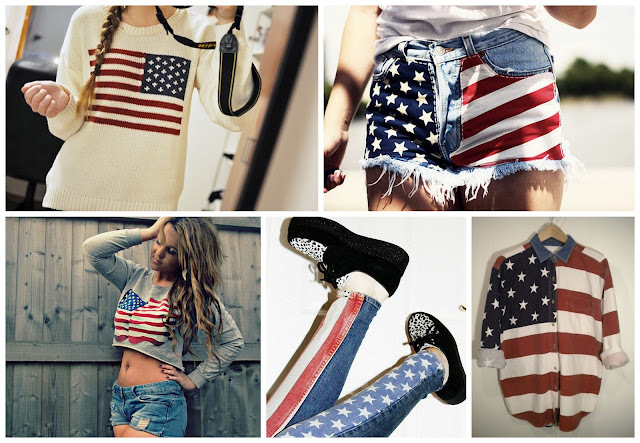 I've seen a lot of people wearing American flag in Holland and since then I'm obsessed. What do you think: Gotta have it or make it stop? I freakin love it :)!